It may sound a little futuristic, but invisible braces in Orpington are real, and here to stay. In fact invisible braces have been around for a while now and people all over the world are sporting beautiful smiles thanks to the innovative modern brace system Invisalign. Invisalign offers a convenient solution to your teeth straightening needs that is easy to manage, and fits in with your daily routine effortlessly. No fixed metal parts that can irritate your mouth to be found here. Invisalign does a wonderful job of straightening your teeth in a relatively short period of time when compared to traditional brace systems. The average treatment time for Invisalign is one year. Who is Invisalign good for? Many of our patients opting for Invisalign are adults with professional careers who prefer not to wear metal fixed braces for months or years. Invisalign works really well for patients who have mild to moderate alignment issues. In these cases, Invisalign offers an easy, convenient fix. How can Invisalign benefit you? Invisalign will straighten your teeth in a relatively short time period. It can be used on your top and bottom rows of teeth for a beautiful smile. Invisalign gives you flexibility. The clear Invisalign aligners are removable, you can take them out to eat, drink, brush and floss. As straighter teeth are healthier teeth, Invisalign brings dental health benefits. A properly aligned set of teeth means fewer gaps for food to get stuck in and plaque to build up. Straightening your teeth with Invisalign therefore helps to protect you from gum disease and tooth decay. Invisalign braces in Orpington can therefore improve your aesthetics and your wellbeing. Think invisible braces in Orpington are for you? Are you someone who feels unhappy about the alignment of their teeth? If so, Invisalign could help you change that forever. Visit us here at Orpington Dental Care for a consultation. During your appointment we can tell you if Invisalign will work for you. We can also give you detailed pricing information and an estimate of how long your treatment will take. So, to get a clear view of how invisible braces in Orpington can work for you, give us a call today. This entry was posted in Braces on 27th August, 2018 by Orpington Dental Care. If you could have anything you wanted to replace your lost teeth, wouldn’t you choose more natural teeth? Of course, you would. Why is that? Is it because they look better, chew better, stay put better and are easier to take care of than prosthetic teeth? Well that might have been the case once, but not anymore. Now you can choose something that mimics your lost teeth so closely that you may forget that they are not natural. And for sure, no one else will be able to tell they are replacements. These are dental implants in Orpington. 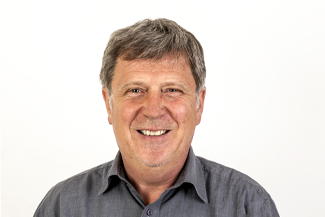 At Orpington Dental Care, we have been using dental implants in Orpington to replace lost teeth for quite some time now, and even we are still delighted every time we put them in for one of our patients. We know that before too long, you will be back to eating all sorts of delicious crunchy or chewy delights. The kind of thing you don’t miss until you can’t have it anymore, like being able to bite into a crisp, fresh apple without fear of leaving your teeth behind in it. Or being able to order your favourite steak in a restaurant rather than having to settle for a cottage pie. The actual implant bit is a tapered post, often screw-shaped that we insert into a channel in your jawbone. We do this under local anaesthetic, having carefully drilled the channel to avoid all blood vessels and nerves. The implant has an internal screw. We leave the implant to heal for a few months. During this time the titanium implant triggers the jawbone to grow new tissue all over it, which holds it firmly in place, like a natural tooth. Once this is done, we put a connecting device called an abutment into the implant and add your custom-made replacement crowns on top. One implant can hold up to three crowns on a bridge. If you would like to have dental implants in Orpington, please book a consultation with us. This will involve checks to see if your jawbone is strong enough. This entry was posted in Dental Implants on 20th August, 2018 by Orpington Dental Care. If you have put off getting your teeth straightened because you think getting braces in Orpington is going to be a long, complicated and somewhat embarrassing process, then think again. If you got through visits to the dentist as a child without being told you needed braces treatment on the NHS, chances are that your alignment issues are pretty mild and easily dealt with, with discreet braces in Orpington. 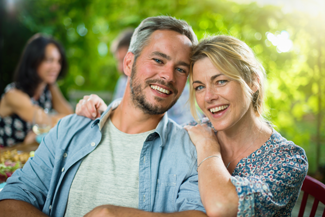 At Orpington Dental Care, we are accredited providers of two kinds of discreet braces in Orpington, one fixed and one removable, giving you more choice. You are no doubt familiar with bracket and wire braces, but you may well only know about the big, clunky ones that are made of metal. Six Month Smiles braces have much smaller, clear ceramic brackets and a finer wire that is coated in a tooth-coloured material. The whole effect is one that blends in with and complements the teeth rather than obscuring them and making the mouth look unattractive. Six Month Smiles work on the front 6-8 social teeth, the ones most on view. They work quickly, taking between 4-9 months to straighten mild to moderate misalignments of the teeth. Removable braces look like mouth guards. They snap on over the teeth and use built-in pressure points to move the teeth into position. Instead of having one device with a wire that is progressively tightened, Invisalign clear aligners use a series of aligners. Starting with aligner number one, you wear each one until the feeling of pressure wears off, after about 7-10 days, and then move onto the next. Treatments take 9-18 months as long as you wear each aligner for at least 20 hours a day. You take your aligners out for eating meals and drinking, and also for cleaning. Both methods of straightening require you to wear a retainer after your teeth are straightened. This keeps them in the right place while the new bone tissue around them settles down. You can have a retainer bonded to the back of your teeth or wear one at night. This entry was posted in Braces on 13th August, 2018 by Orpington Dental Care. Eating is one of life’s fundamental pleasures, and so to have to steer clear of various foods because your teeth can’t cope with them can be terribly sad. That can be the case with some methods of tooth replacement, such as dentures, which do not have the chewing power of natural teeth. There is one method of tooth replacement that allows people to continue to have complete freedom in their food choices and that is dental implants. At Orpington Dental Practice, we can fit dental implants in Orpington to replace one, a few or an entire arch of lost teeth. The reason that they are so great at their job is because dental implants are embedded into the jawbone rather than adhering to the gum as dentures do or relying on neighbouring teeth to be used as buttresses as bridges do. Dental implants give 100% of the chewing power of natural teeth. Dental implants are small titanium posts that are tapered to resemble tooth roots and also often screw shaped. The dentist puts them into the bone after opening up the gum and carefully drilling a channel into which to put them. Once they are in place, the gum is replaced and the implants left to integrate with the bone, which takes 2–6 months. During this time, the titanium catalyses new bone growth over its surface and this is what holds the implant in place so well. Once this process has completed, you come back to us and we fit a connecting piece into the implant and attach the replacement crown on top. The crowns are handmade by skilled technicians to blend in with your natural teeth. Or, if you are having all your teeth replaced, to resemble the ones you have lost. Looking after dental implants is easy. All it takes is a diligent oral health routine of twice-daily brushing with a fluoride toothpaste, plus careful flossing. Gum disease is the enemy of implants and it is important to keep it at bay because if gum disease gets as far as attacking the bone, it can loosen the implants and cause them to fall out. This entry was posted in Dental Implants on 3rd August, 2018 by Orpington Dental Care. At Orpington Dental Care, we want to make sure that we cover all the bases when we are preparing you for dental implants in Orpington. While you are the best source of information about your needs, we have experience in examining patients preparing to undergo this kind of treatment. Together we can ensure that you are ready to go ahead and that you will have a smooth and positive treatment experience with dental implants in Orpington. Dental implants in Orpington involves dental equipment that is going to help replace your teeth and is going to become a part of you. It’s only natural, therefore, to wonder what it looks like, feels like and what its made of. We can satisfy your curiosity and help to understand the procedure better by showing you dental implants at Orpington Dental Care. You will be able to hold a dental implant between your thumb and first finger. It’s quite small with a base that is shaped like a screw and made from titanium. There will be an abutment on top which is the area that attaches the implant to your choice of prosthetic. If you are having a single tooth replaced, this will be a crown and, if you are having multiple teeth replaced, it could be with a bridge or denture. There are plenty of nuances when it comes to a dental implant treatment. Most of what you need to know are the facts that reassure you that dental implants are secure, functional and that they look great. We can explain these to you when you have an appointment at Orpington Dental Care. Once your treatment is complete, your dental implants should feel close to natural teeth. For the most part, you won’t have to think about the fact that you have dental implants. If you have a solution such as implant-retained dentures, you will still be able to take your teeth in and out, so you will still need to think about cleaning them in this way. 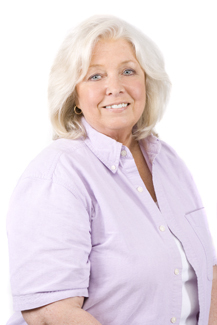 We can talk you through what your experience of dental implants will be like. This entry was posted in Dental Implants on 23rd July, 2018 by Orpington Dental Care. What do you need to know about braces in Orpington? In order to understand what your needs are when it comes to a teeth-straightening treatment, you need to ask yourself some important questions about your priorities. You know you want to make improvements to your smile, but did you know that you have options around how to achieve that when you get braces in Orpington? Most people who consider teeth straightening as an adult for cosmetic reasons. Within that, there is often a number of issues that they want to address. For example, they might be hoping to push or pull their teeth back into line or they may wish to close a gap. Sometimes there is a problem with the way the teeth meet, and this can be addressed with more extensive orthodontic work. Do I have any deadlines in mind? While it’s tough to rush teeth straightening, there are some methods that can achieve remarkable results in a relatively short space of time. The length of time taken to actually move the teeth remains relatively consistent. However, the focus of treatment changes to encompass only the teeth that are cosmetically important. This means that the whole procedure is shortened. Let your dentist know if you have any special occasions coming up that you would like to be ready for and they will tell you what is possible. Is it vital that your braces in Orpington are discreet? There are many life circumstances that require people to be ultra-conscious of the impression that they make. The aura that we give off frequently dictates how we are received in the world and, if that isn’t maintained through confidence and a high level of self-esteem, it can have difficult consequences. Invisible braces options are one way to maintain great looks while still getting your teeth straightened. We have a number of options for you at Orpington Dental Care. This entry was posted in Braces on 16th July, 2018 by Orpington Dental Care. If the gaps in your smile are getting you down, dental implants in Orpington are here to save the day. They are a heroic method of tooth replacement that will have you feeling full-powered again in no time. It may seem easier to just let go of your teeth or imagine that you will never have a fully-functional set of teeth again, but the truth is that dental implants can give you that. At Orpington Dental Care, we love getting a bit over-excited about the benefits of dental implants. In Orpington, at our clinic, they are one of our favourite methods of tooth replacement. There are ways to get some level of dental function back without implants, but not that many that offer the entire package. 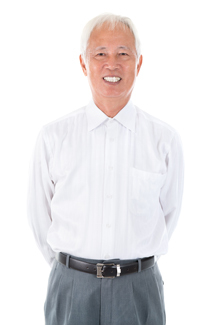 Why are dental implants in Orpington so awesome? Aesthetics – dental implants should be nearly indistinguishable from the surrounding teeth to the casual observer. They also support the fullness of the face in the same way that teeth do, which avoids the tendency towards a sunken appearance that is a hazard of other tooth replacement methods. These are just a taster of the benefits available when you are using dental implants in Orpington. We look forward to giving you more details when we see you. This entry was posted in Dental Implants on 9th July, 2018 by Orpington Dental Care. The root cause of all dental issues is not having clean teeth. It’s as simple as that. Clean teeth cannot decay or get gum disease. Yet, considering how simple this premise is, it’s amazing how hard it can be for some people to keep their teeth clean. That’s why at Orpington Dental we like to assist you with your dental hygiene in Orpington by offering you sessions with our dental hygienist. Why do teeth need cleaning so much? The thing with our bodies is that we are more of a city than a single organism. Our skin, hair, insides and our mouths are the home for millions of harmless and helpful organisms – and some that are not so helpful. Our mouths are home to harmless bacteria that feed on the sugars that get left behind when we have eaten or drunk something. The more they feed, the more they breed and in very little time at all, they start to build up on the teeth in a sticky layer known as dental plaque. If you eat something particularly sugary, you will soon feel the plaque growing in ridges across your teeth. The bacteria give off acids that attack the teeth and gums. The acids eat into tooth enamel, creating holes through which decay-causing bacteria can enter, and that’s when you will need a filling. The acids irritate the gums, which become inflamed and can start to bleed easily, such as when you brush your teeth. This is the beginnings of gum disease, which, if not treated, will go on to eat into the bone that holds the teeth in place. They can become loose and fall out. You need to remove the build-up of plaque twice a day, preferably with a soft-bristled brush and fluoride toothpaste. You can use dental floss and interdental brushes to get between the teeth and remove any bits of stuck food. Twice a year, you need to come to the hygienist, who can get rid of any hardened plaque that you have missed. The hygienist can also show you more effective ways to brush your teeth. This entry was posted in Dental Hygiene on 5th July, 2018 by Orpington Dental Care. Adjusting your smile is one way to give yourself the look you have always wanted. At Orpington Dental Care, we have a range of cosmetic treatments that we can offer. If your smile is misaligned, you may think that this is something you have to live with. This is not the case. You can use braces in Orpington to nudge your teeth in to line. One of the great things about modern braces is that there are more to choose from that ever before. You can work with trusted dental brands like Invisalign and Six Month Smiles when you get braces in Orpington with Orpington Dental Care. Your dentist will have completed special training with the dental brand of your choice so that they can guide you through your teeth straightening treatment. The method of fitting your braces in Orpington varies depending on which type you have. The advantage of choosing a system like Invisalign is that there is no lengthy fitting procedure required. When you decide to go ahead, a member of the team at Orpington Dental Care will take scans and gather other data. This is used to make a series of aligners which are then given to you at your next appointment. When used in the right sequence these aligners will move your teeth into their new positions. Six Month Smiles are a bit more like standard braces. This means that they are fixed to the teeth. Again, your first appointment is about getting together the information that the external provider, Six Month Smiles, needs to construct your unique equipment. Once they have done this, they send it to us for fitting. Your brackets are contained within a special mould which is pressed against your teeth so that they are placed in exactly the right positions. Your dentist then threads a wire through them which is held in place using discreet elastics. Regardless of the method you choose to work with, you will come and see us every six weeks or so for a check-up. This is so that we can monitor your progress, make any necessary adjustments and offer advice on caring for your teeth and equipment. This entry was posted in Braces on 25th June, 2018 by Orpington Dental Care.